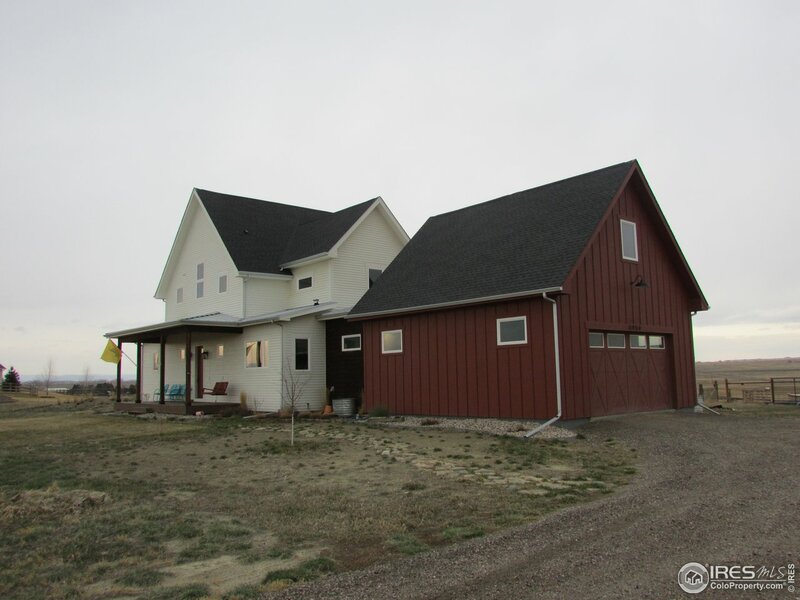 "804 acre ranch, Two pivots, Cattle working areas, Barn and Shop. Please see Listing Website for more information haydenoutdoors.com/land-for-sale/buckeye-ranch"
"Private & Custom on 33+/- acs w/amazing mtn views! Rustic open flrpln w/wood pillars/stone & knotty alder accents. Liv rm w/stone gas fp, open kit, pantry & eatin din & sep din rm w/wood flrs. Big mstr bdrm w/deck access + 5 piece mstr ba w/soaker/dual head shower/walkin clst. Sep study, laundry & mud rm + 2 more bdrms on main. Fnshd walkout bsmnt w/family & rec rm, gas fp, bonus rm + 2 bdrms. Composite deck, patio, dog run, domestic well, 3 car gar & 4160SF barn/shop 3 stall roughin + RV dump." 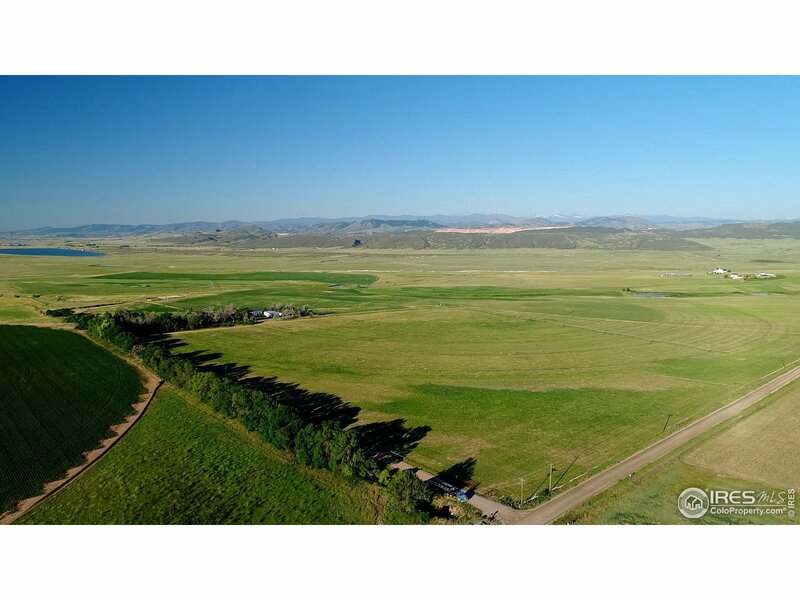 "Own one of the most amazing lots in all of NOCO. Surrounded by state wildlife land and farms, with the guarantee your views are protected for years to come. No matter where you sit in the home, you have scenery and nature. Home has a ton of natural light and windows galore. Large kitchen and dining room, huge family and rec rooms, 3 beds/2 baths, office and an over-sized 2 car garage. Just off a paved road and with 7 acres, there is plenty of room for that dream shop with no HOA or covenants!" "Fabulous Home. Remodeled Kitchen. New Wooden Floors throughout the main level. New carpet in Bedrooms. Open Floor Plan. Lots of Green Features. 5+ E-Star Rated. Anderson Windows. Appliances in Kitchen and Garage included. Luxury Master Bathroom. Country living at its best. 4+ horses. 2160 sq. ft. barn installed by current owners. Area outside of Barn designed for pasture control. Additional shed and loafing sheds. Fiber Optic Internet. Professional Appraisal Report available for review." "RARE OPPORTUNITY, IN TOWN HORSE PROPERTY. Covenants allow two horses, 12x20 barn & fencing already completed. 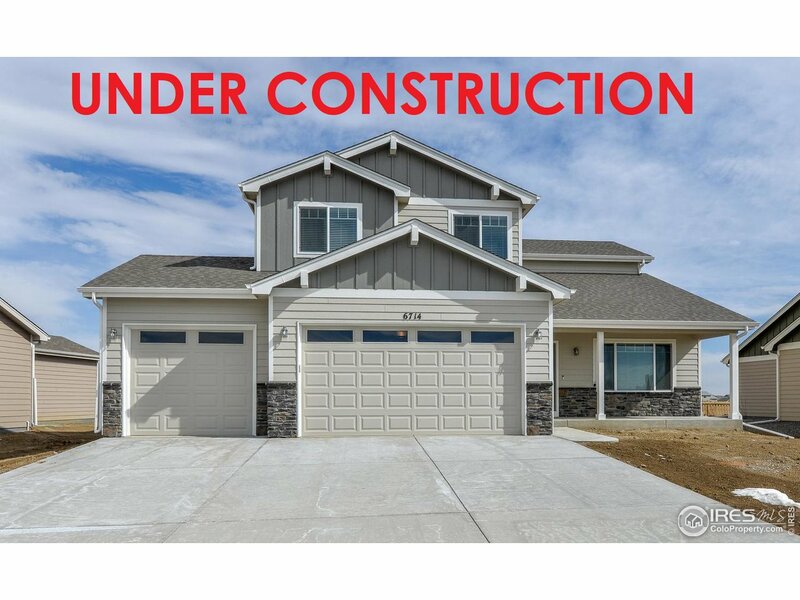 This home features 2x6 construction, Anderson windows, quartz/granite throughout, wood floors, large center island, stainless app., alder cabinetry, luxury master bath, double sink in main bath & master, lg covered deck, full unfinished garden level basement with 9' ceilings. MOUNTAIN VIEWS! Did I mention it was built in 2017, so better than new. COME ENJOY THE VIEWS FROM YOUR BACK DECK!" "Welcome home to your getaway and fall in love with this 3 bed, 2 bath, completely remodeled inside, home surrounded by mature trees on 6.27 acres. There is a goat shed, loafing shed, a huge shop, tool and implement shed, and a poultry house. Granite Counters in the bathrooms, open concept kitchen, and master retreat with a closet 10 by 12 and 5 piece bathroom. 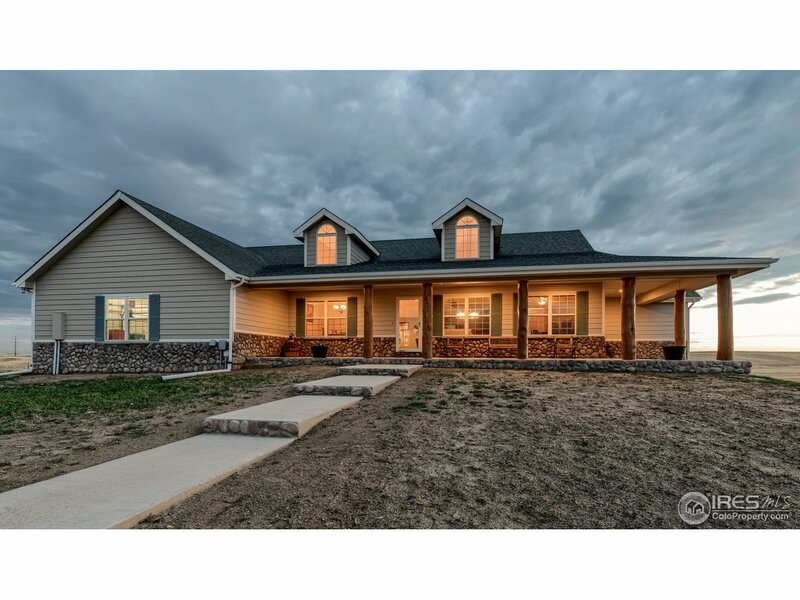 Enjoy the mountain views and beautiful sunsets at your next home!" "Welcome home to your getaway and fall in love with this 3 bed, 2 baths, completely remodeled inside, home surrounded by mature trees on 6.27 acres. There is a goat shed, loafing shed, a huge shop, tool and implement shed, and a poultry house. Granite Counters in the bathrooms, open concept kitchen, and master retreat with a closet 10 by 12 and 5 piece bathroom. Enjoy the mountain views and beautiful sunsets at your next home!" "Rare find in Wellington West. 5 bedroom ranch with 100% finished basement. Newer roof, furnace, etc. Sunroom (12x38) added recently with hot tub. Updates throughout. Hobby/Craft room listed as Rec Room. Study/bedroom on main floor. 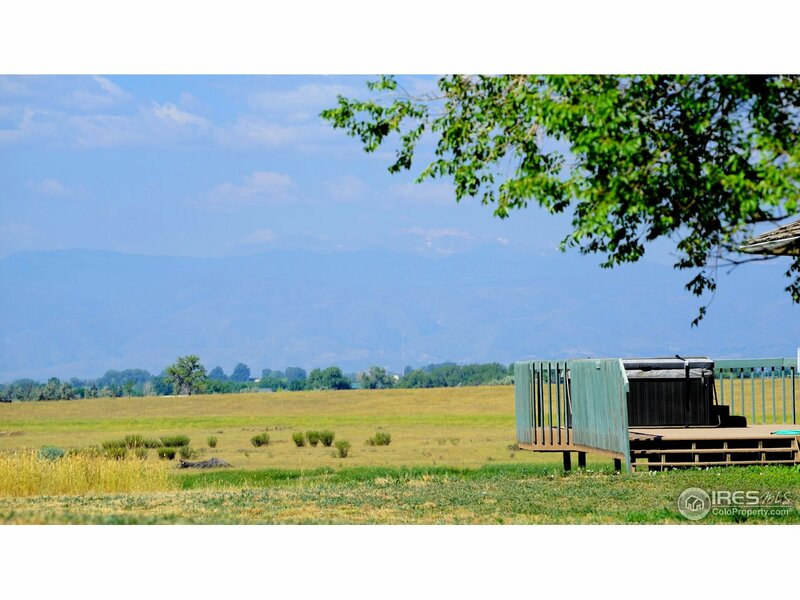 Home abuts farmland and has views of front range. You'll be glad you visited." "Model Home Not for Sale. 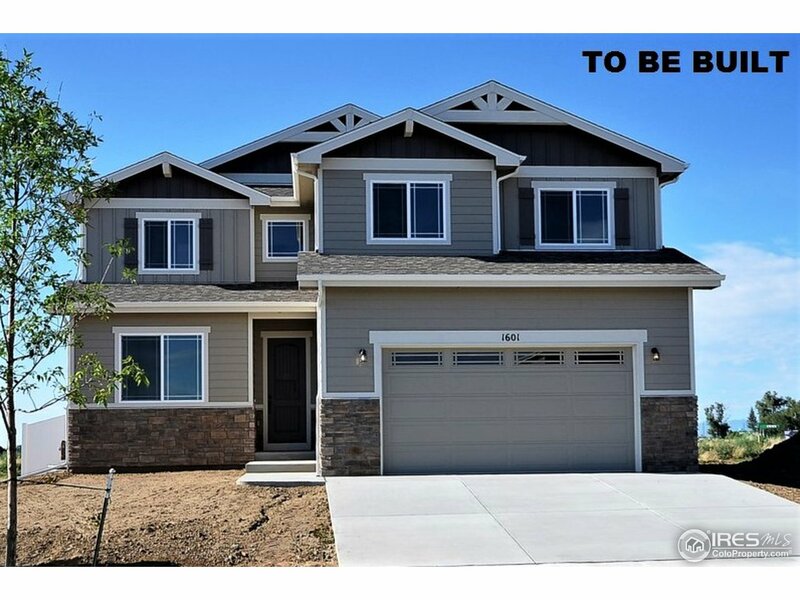 Outstanding 4 bedroom/4 bathroom plus an office/den 2 story by Sage Homes! 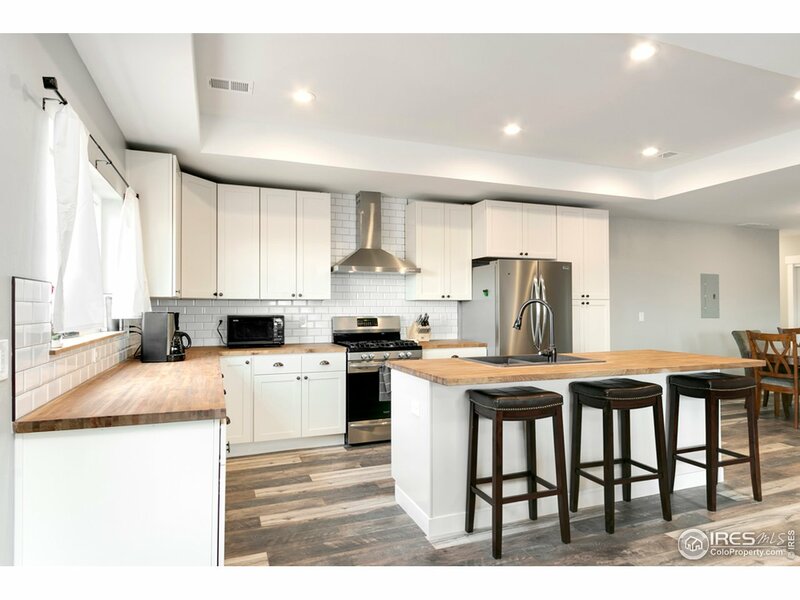 Custom finished throughout including quartz countertops, upgraded cabinets and island in the kitchen, wood flooring, private guest bath, upstairs laundry, 8 ft garage doors and much more! Price for this model home also includes backyard landscaping, lot premium, A/C and all hard surface upgrades in model home. 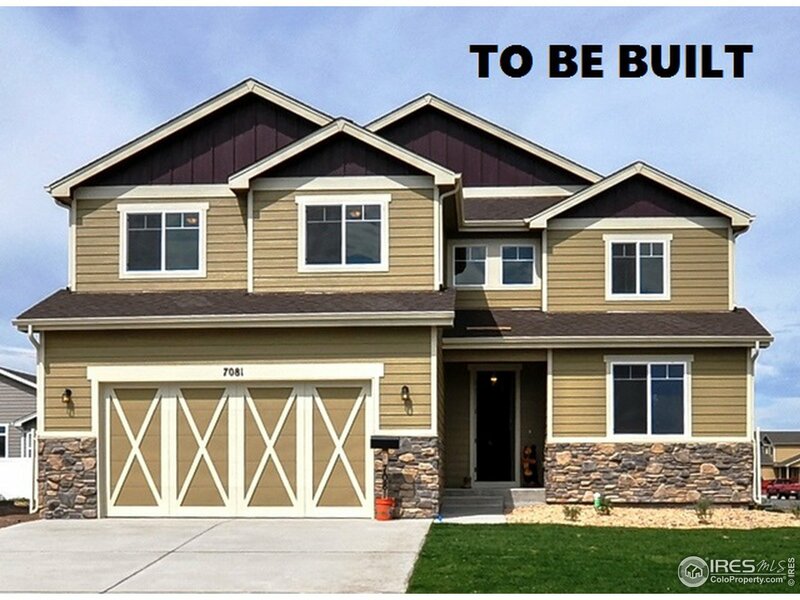 Roaring Fork spec home starting at 6806 Sage Meadows Drive w/est completion in Sep."
"Model Home and not for sale. Sage Homes in Sage Meadows, Wellington. 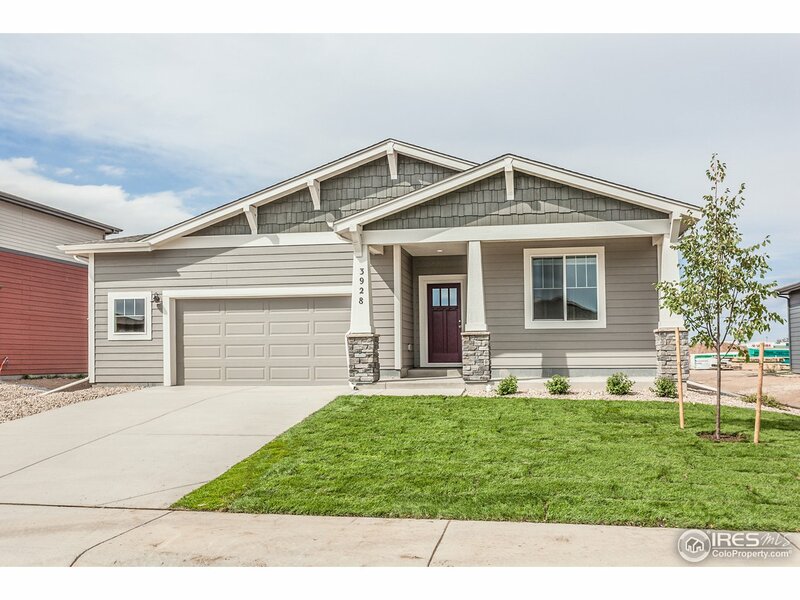 Wellington's newest neighborhood with pool, park, open space, trails, close to FC and I-25 and new high school for Poudre School District. 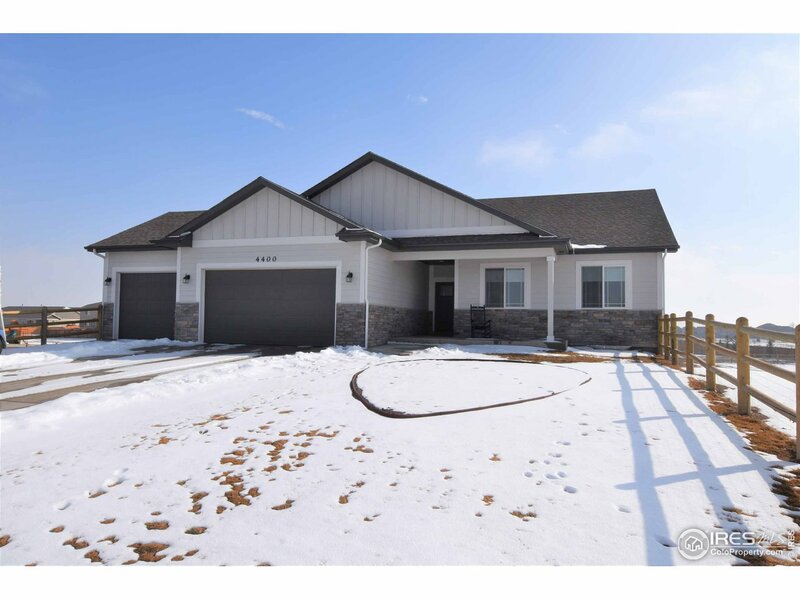 The Price for this model home includes all options/upgrades/full landscaping/covered back patio/9 ft basement and lot premium. HOA includes pool, non potable irrigation water, trash, open space, mgmt. Visit sagehomes.com or visit model homes on Thur/Friday 3-6 and Sat/Sun 1-4pm." 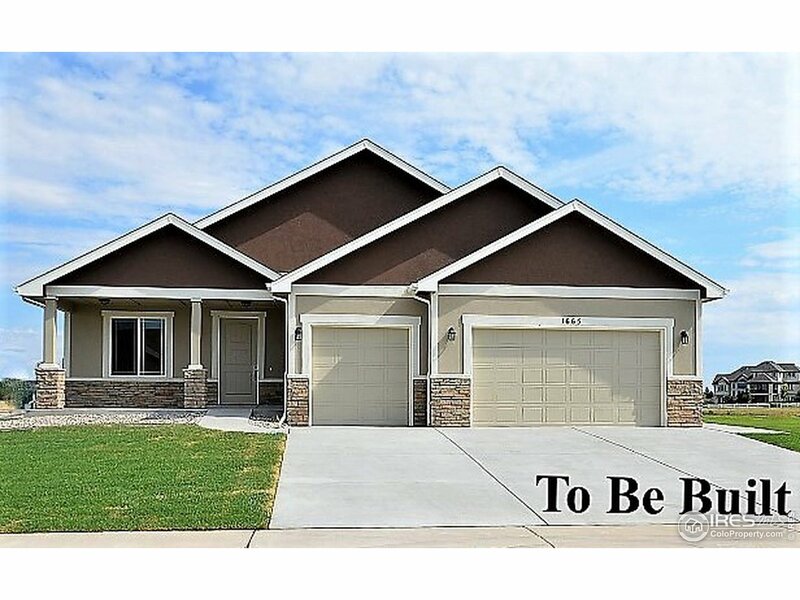 "Wellington's newest neighborhood w/pool, park, open space, trails, close to FC & I-25 & new high school for PSD. Outstanding 4BD/4BA plus office/den 2 story by Sage Homes! Quartz counters, upgraded cabinets & kitchen island, maple wood floor, upstairs laundry, 8 ft garage doors & more! HOA includes pool, non potable irrigation water, trash, open space, mgmt. Fantastic lot backing to large private open space & pool/park ready 8/2019. Visit sagehomes.com or model homes TH/Fri 3-6 & Sat/Sun 1-4pm." "Best Lot in the Neighborhood - make it yours today. Beautifully maintained home, like new. Gorgeous mountain views. House sits on large 1/4 acre lot, backing to protected open space and ponds. Enjoy a mountain sunset while bird watching from your large patio. The interior features a study on the main floor as well as open and spacious kitchen with adjacent dining and living room. All bedrooms upstairs are oversized. Master Bedroom features a 5 piece bath. Basement has bath rough in. The"
"Paper Spec. Entertain in the Abbey which features 2545 square feet of spacious living; 4 bedrooms plus office/formal dining, 2 1/2 bathrooms, a butler's pantry, and a full unfinished basement. Additional features include wood floors, A/C, granite countertops, full tile backsplash, stainless steel appliances, 42 upper cabinets with crown molding & hardware, full tile shower in master bath, 3 car tandem garage. Pool coming 2019! Ask about our $5,000 Builder Incentive." "The Fairview by Gateway Homes. 3 bed, 2 bath, full UF bsmt. Large great rm w/9ft ceiling. Bright kitchen has breakfast bar, granite counters, pantry & ample counter space. 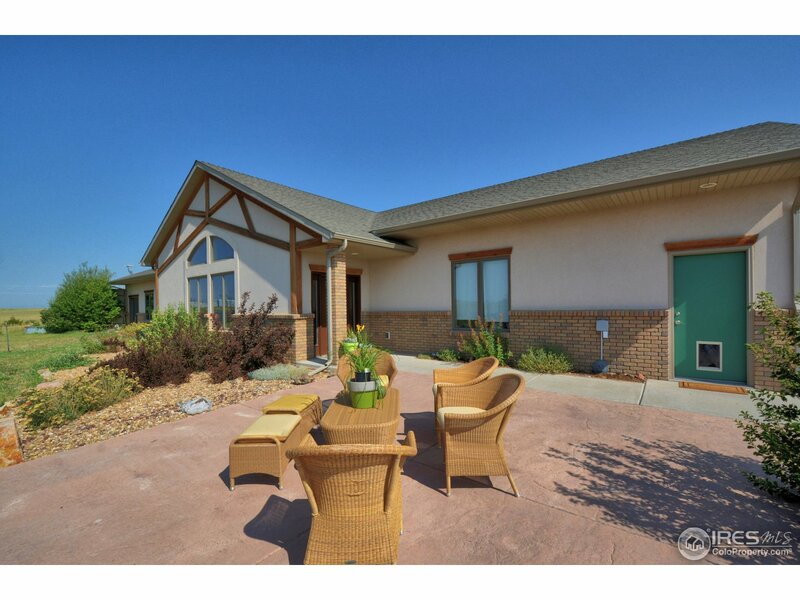 Great master suite w/walk-in closet, stunning bath w/walk-in spa shower w/glass door. Modern Collection standards: A/C, SS appliances, fridge, LTV flooring, painted shaker style cabinets, granite counters, 2X6 construction, high eff furnace & H20 heater, NEST thermostat. Front yard landscape, back deck"
"The Abbington features 2134 square feet of spacious living with 4 bedrooms, 2 1/2 bathrooms, and a full unfinished basement. Additional features include wood floors, stainless appliances, granite countertops, full tile backsplash, 42 upper cabinets with crown molding, full tile shower in the master bath w/ door and granite seat, air conditioning, and 3 car tandem garage with an 8' garage door and opener. Front yard landscaping included! Ask about our $5,000 Builder Incentive. Paper Spec"
"Paper spec. POOL COMING IN 2019! The Berkley features 1733 square feet of spacious living with 3 bedrooms, 2 bathrooms, and a full unfinished basement. Additional features include wood floors, A/C, granite countertops, full tile backsplash, stainless steel appliances, 42 upper cabinets with crown molding & hardware, full tile shower in master bath, 3-CAR GARAGE IS STANDARD, and the list goes on! Ask about our $5000 Builder Incentive!" "The Willow by Gateway Homes. Great new ranch has 3 bed, 2 full bath, full UF basement. Great open plan designed with entertaining in mind. Spacious kitchen w/sland & pantry. Large master has 5pc bath & walk-in closet. Comfort Collection standard features include 10 yr warranty carpet, LTV flooring, shaker style cabinets w/crown molding, granite counters, 2X6 construction, high eff furnace & H20 heater, NEST thermostat. Front yard landscaping,covered patio, 3 car garage."